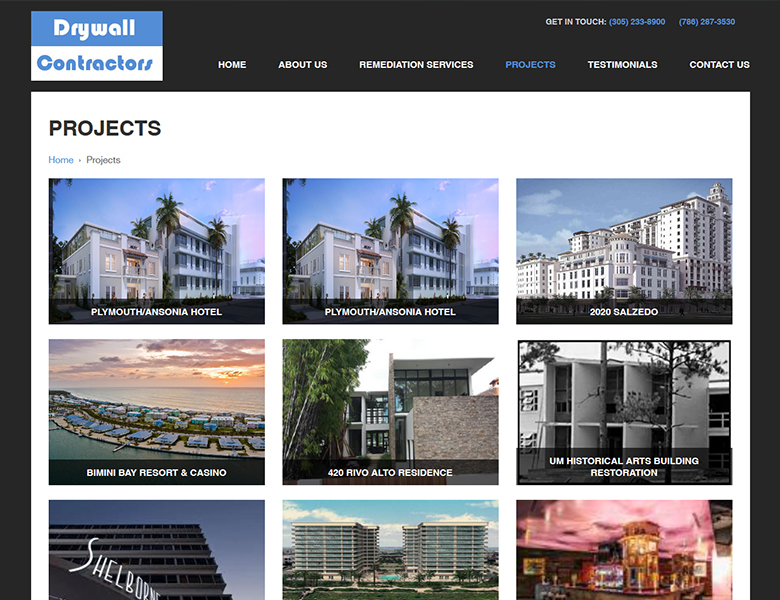 Select a category from the drop-down or just keep scrolling down! 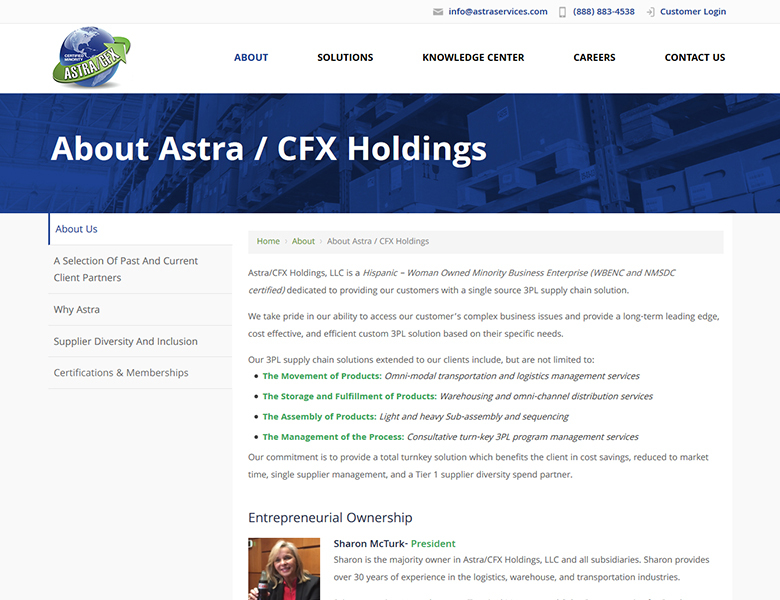 Astra/CFX Holdings, LLC is a Hispanic – Woman Owned Minority Business Enterprise (WBENC and NMSDC certified) dedicated to providing their customers with a single source 3PL supply chain solution. 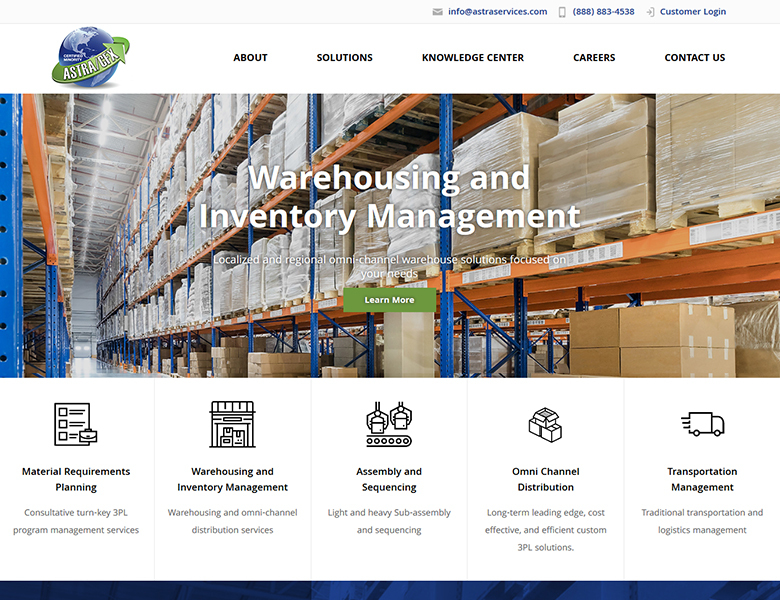 They take pride in ability to access their customer’s complex business issues and provide a long-term leading edge, cost effective, and efficient custom 3PL solution based on their specific needs. 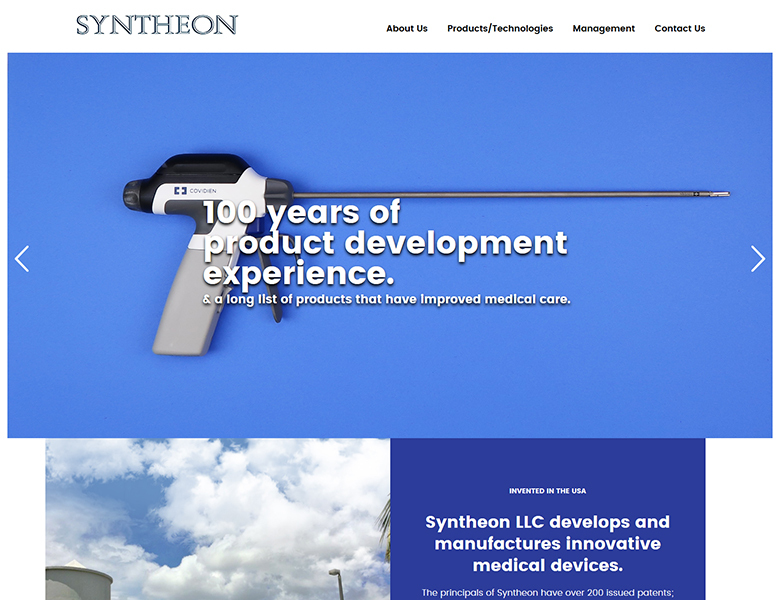 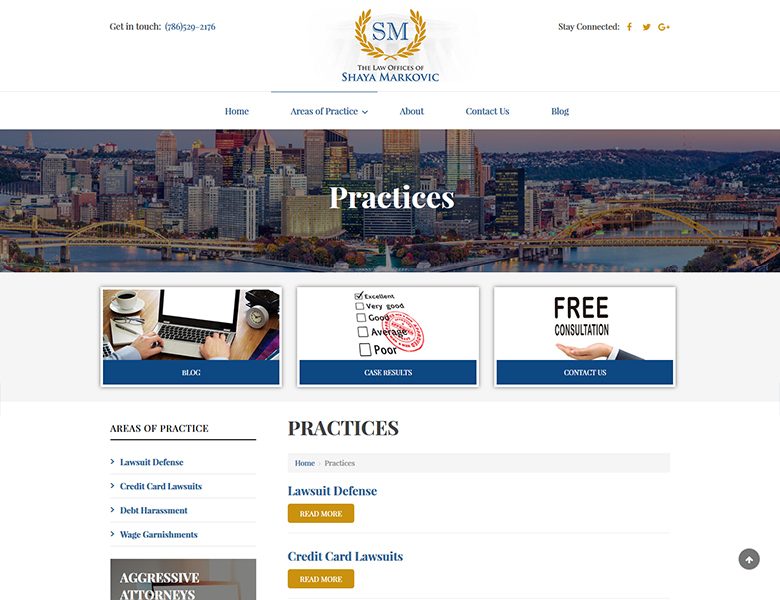 Syntheon LLC develops and manufactures innovative medical devices. 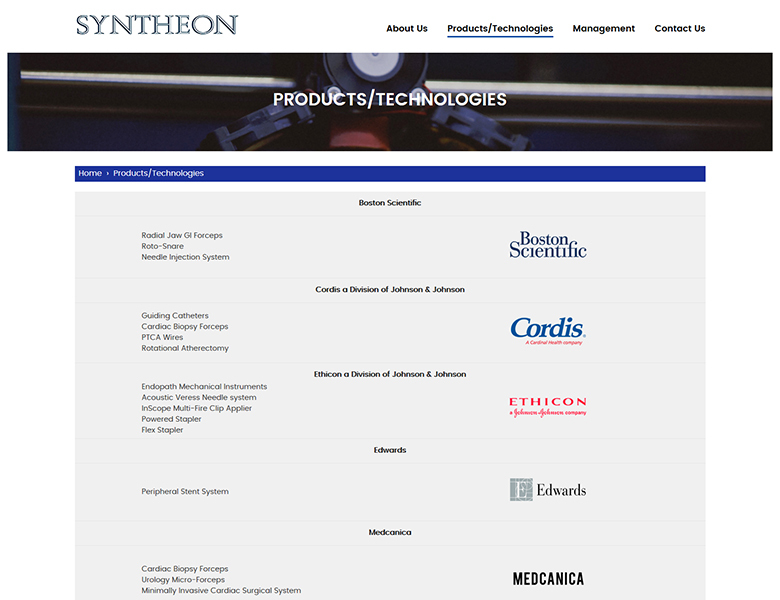 The principals of Syntheon have over 200 issued patents; 100 years of product development experience and a long list of products that have improved medical care and increased value to partnering companies' shareholders. 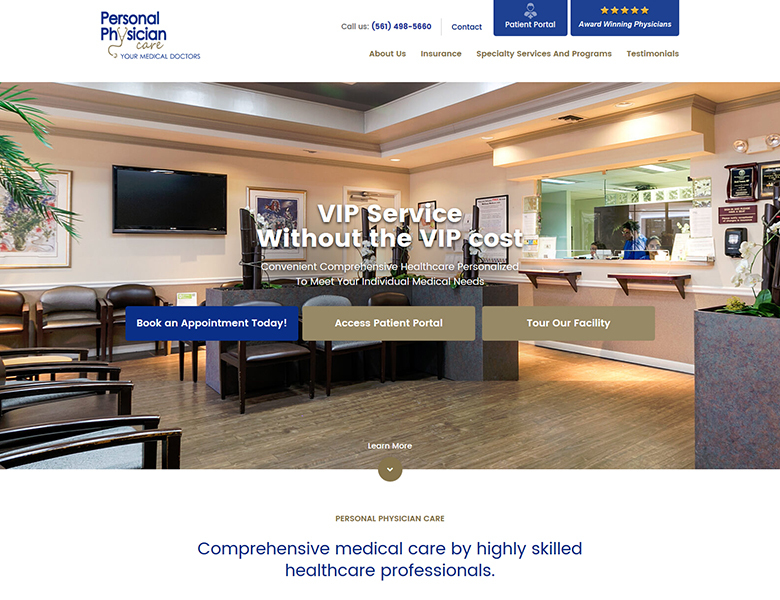 Personal Physician Care is one of the largest, state-of-the-art primary care practice in Delray Beach. 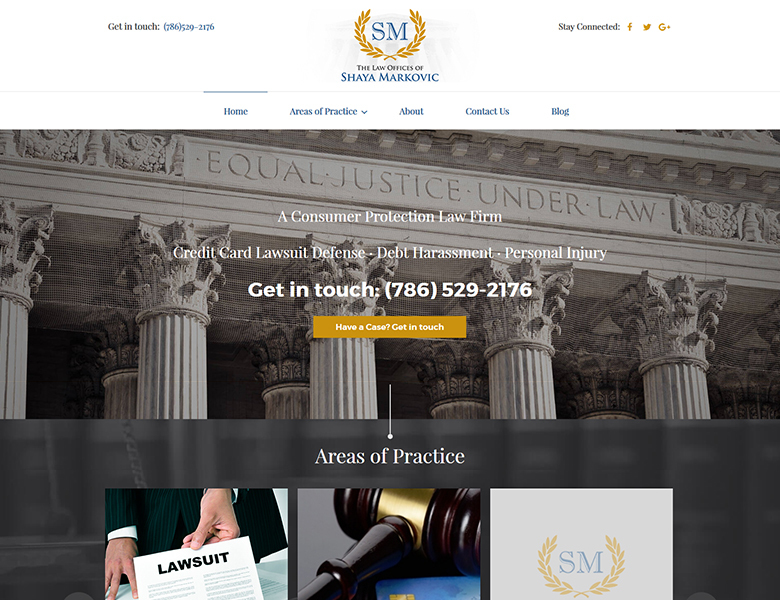 Their compassionate doctors are your medical advocates. 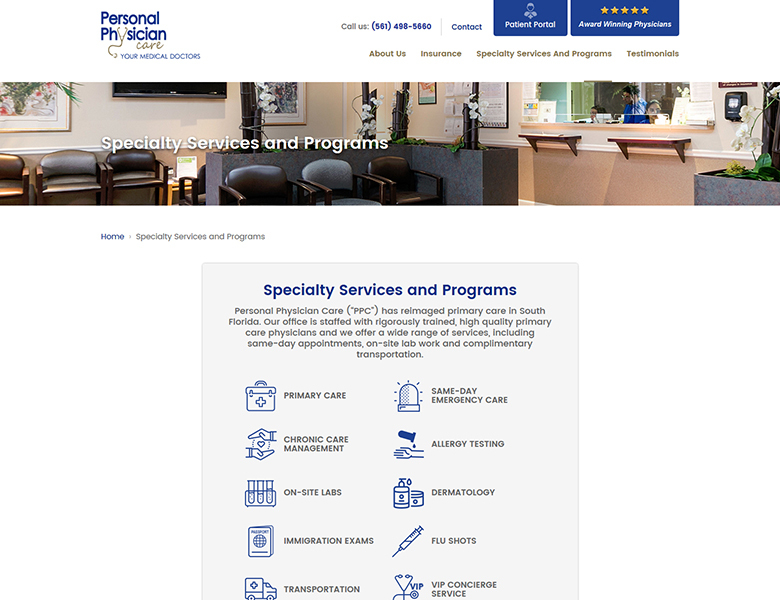 They coordinate all of your healthcare needs including specialist care as medically necessary. 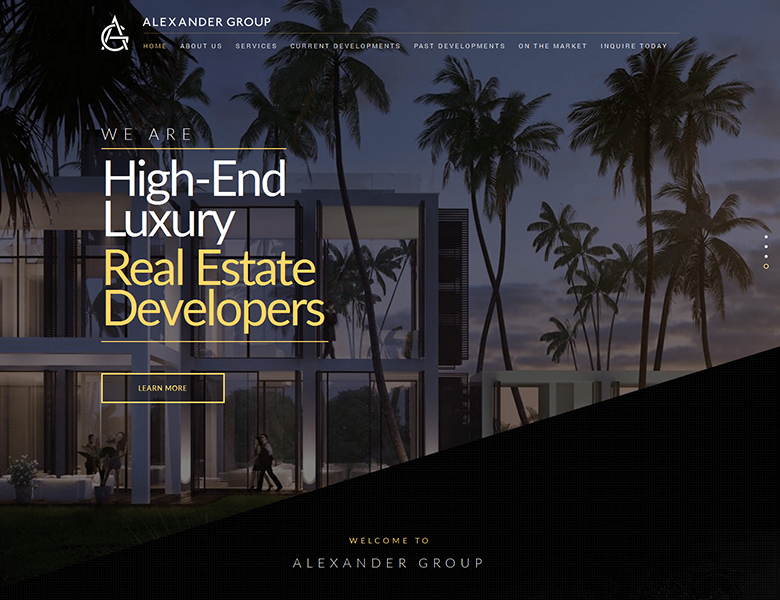 For over 20 years as master custom builders of luxury homes, The Alexander Group has upheld a tradition of excellence and un-compromising quality. 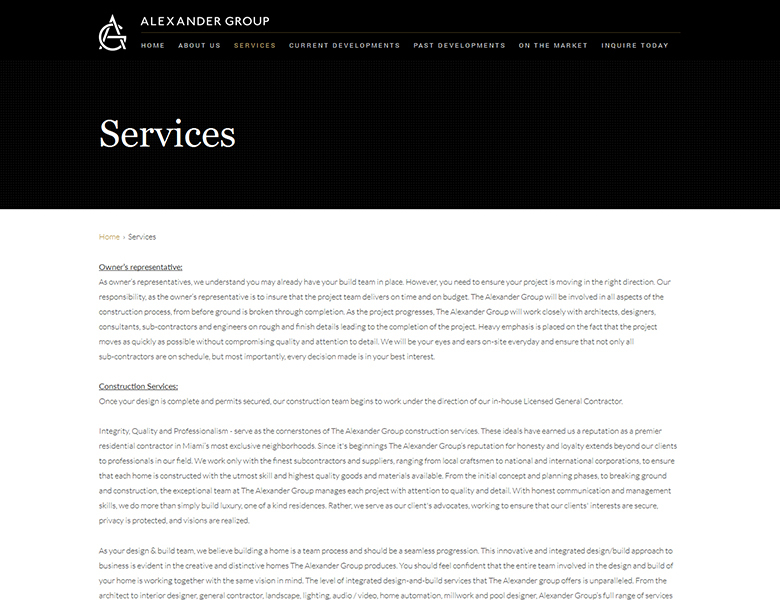 Through collaboration with some of the finest architects and the impeccable craftsmanship that goes into each and every home we build, our highly recognized and published work has solidified us as an industry leader. 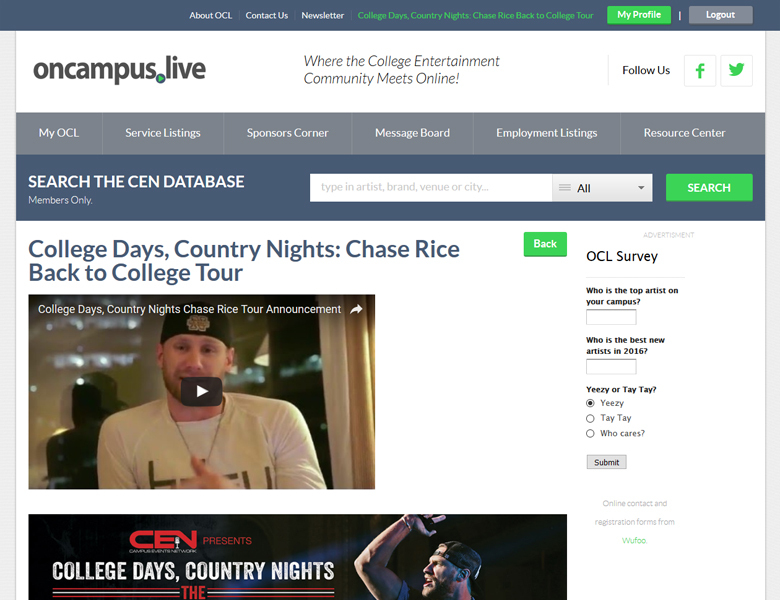 oncampus.live (OCL) is an online resource center by college concert programmers, for college concert programmers - and anyone within six degrees of the college concert industry. 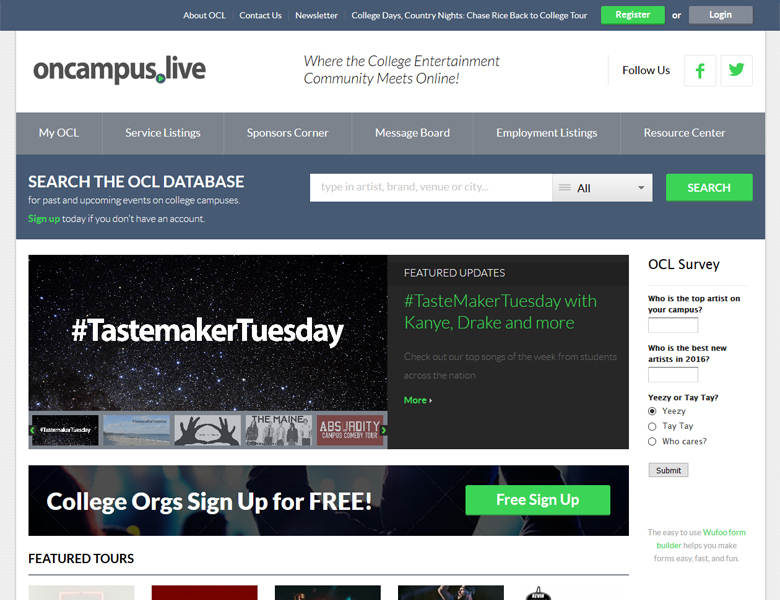 Free for campus activities boards, planners can use oncampus.live as a forum for promoting upcoming events; tracking industry news and artist avails; researching event ideas, resources, and references; while directly communicating with industry peers. 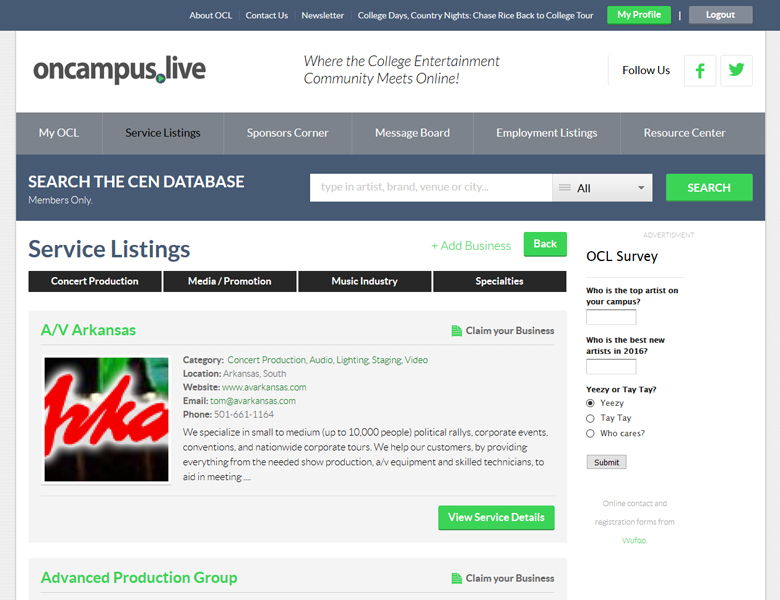 By creating a space specific to the college entertainment community, student concert planners, their advisors, artists, and professionals in the college concert business can come together to foster and support a thriving industry. 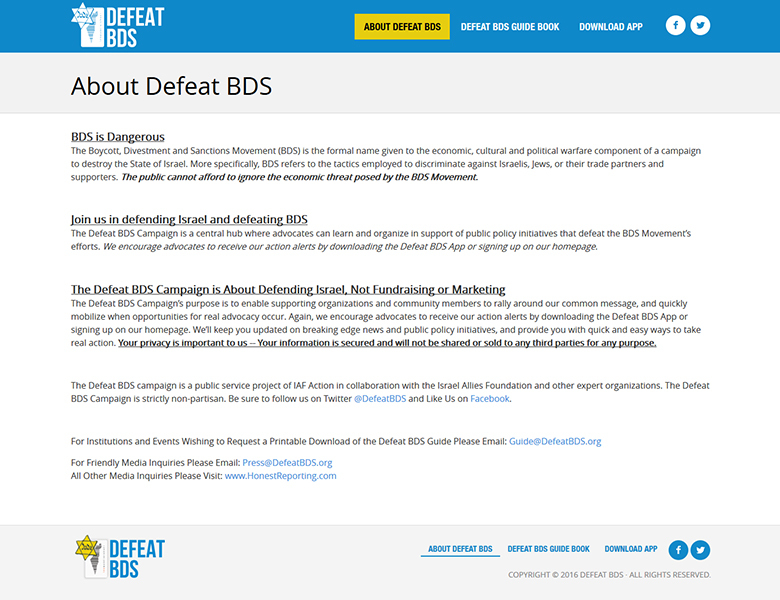 The Defeat BDS campaign is a public service project of IAF Action in collaboration with the Israel Allies Foundation and other expert organizations. 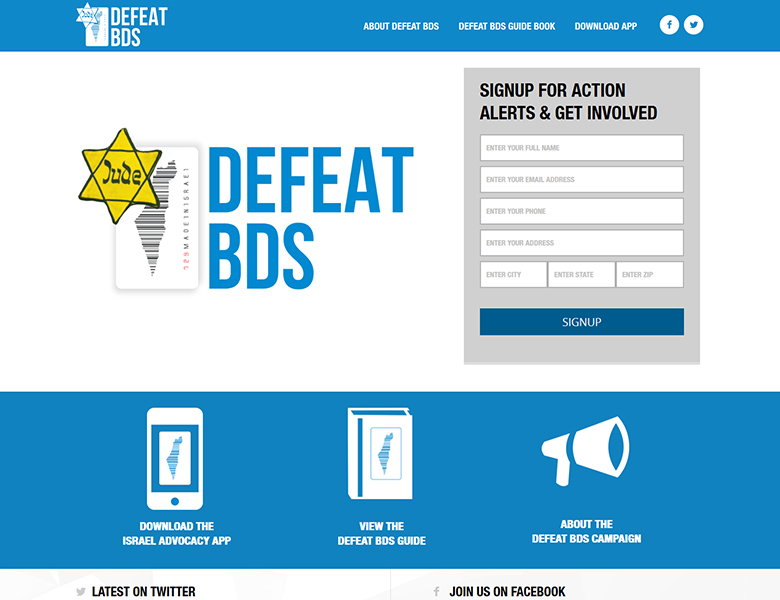 The Defeat BDS Campaign is strictly non-partisan. 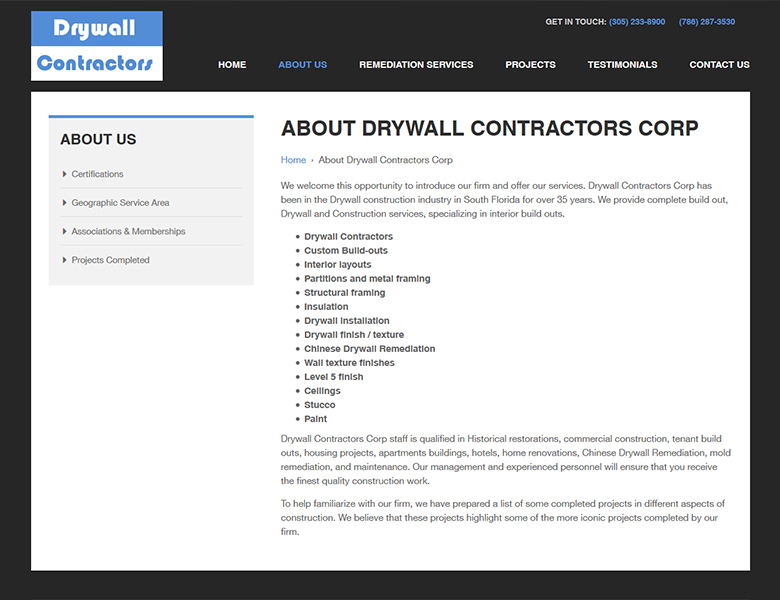 Drywall Contractors Corp has been in the Drywall construction industry in South Florida for over 25 years. 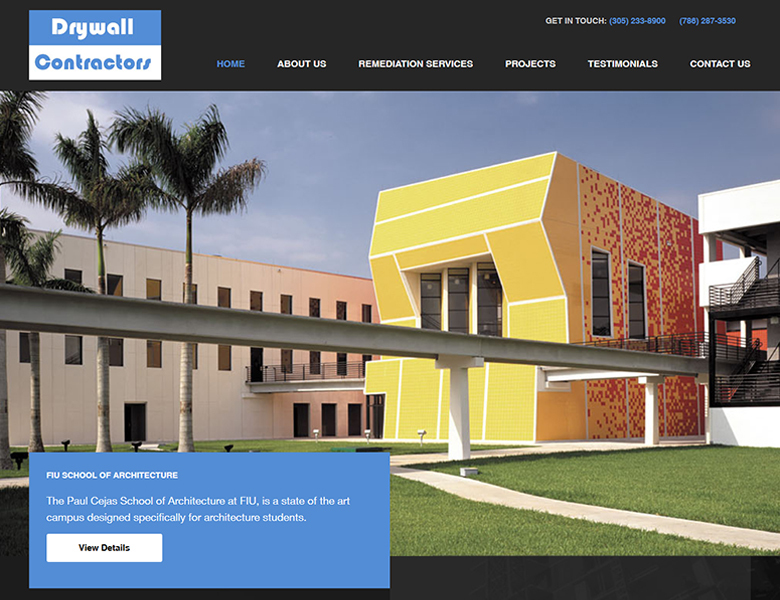 They provide complete Drywall and Construction services, specializing in the fields of - Drywall and Paint Contractors, Interior layouts, Partitions and metal framing, Structural framing, Insulation, Drywall installation, Drywall finish / texture, Duroplex / Venetian Plaster, Wall texture finishes, Ceilings, Stucco, Paint and Thermocromex. 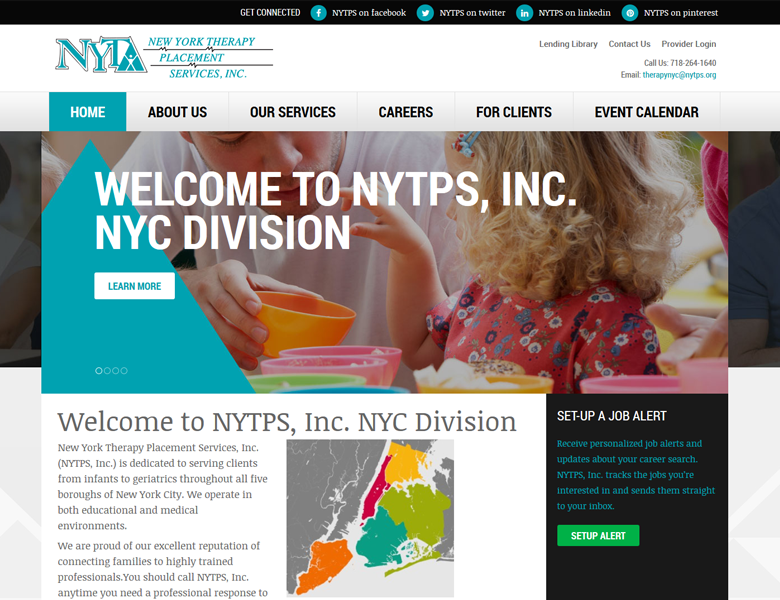 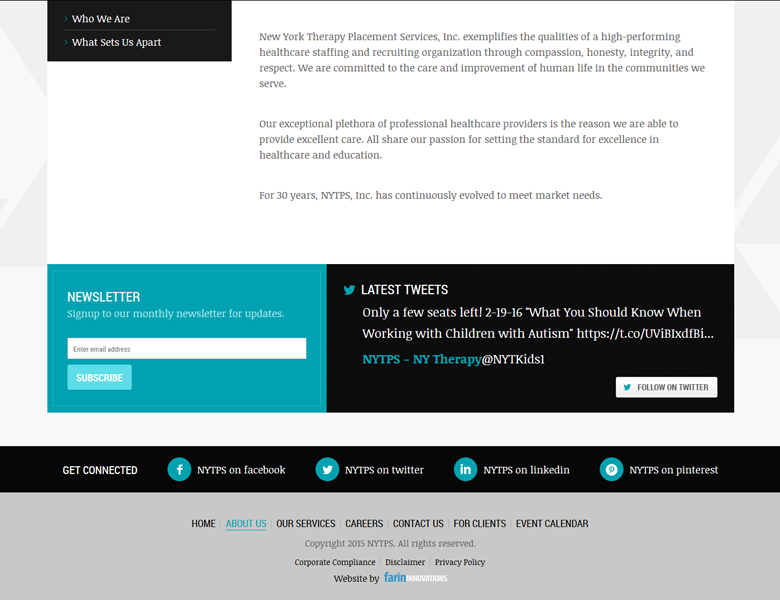 New York Therapy Placement Services, Inc. exemplifies the qualities of a high-performing healthcare staffing and recruiting organization through compassion, honesty, integrity, and respect. 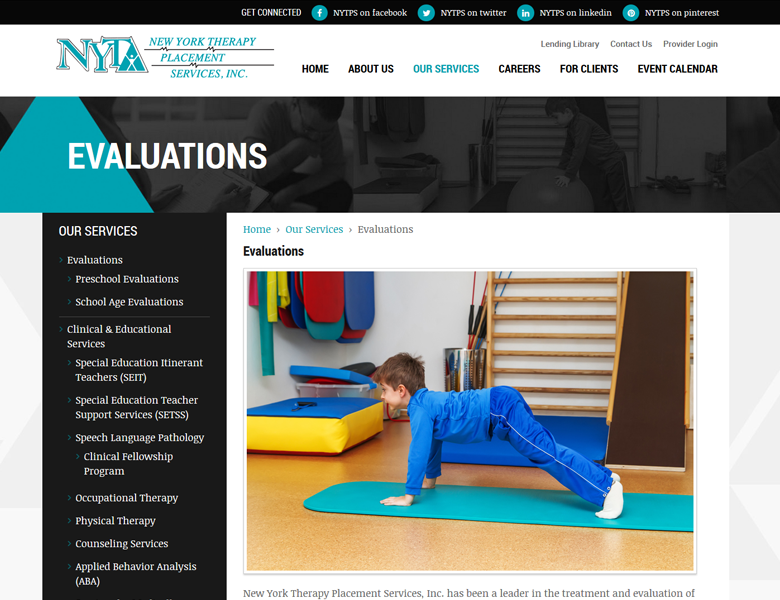 We are committed to the care and improvement of human life in the communities we serve. 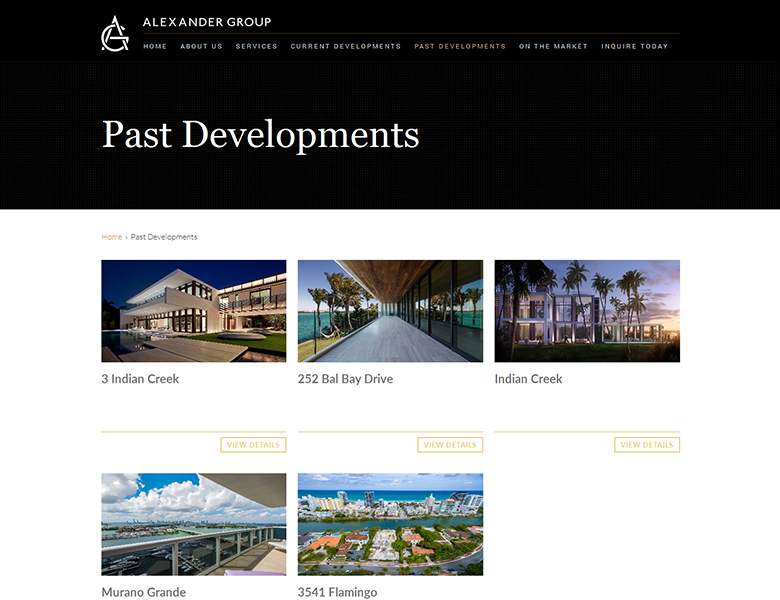 This museum-quality residence was impeccably designed by award-winning architect Chad Oppenheim in the most exclusive and secure private community in Miami Beach, Bal Harbour.The residence was masterfully created to raise the bar in contemporary architecture and seamlessly blurs the lines of indoor-outdoor living with over 17,000 sq. 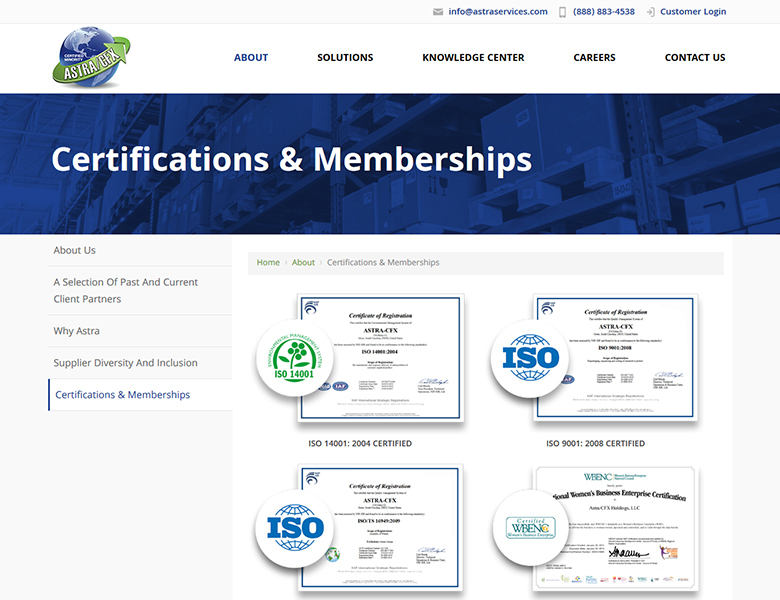 ft. of interconnected space. 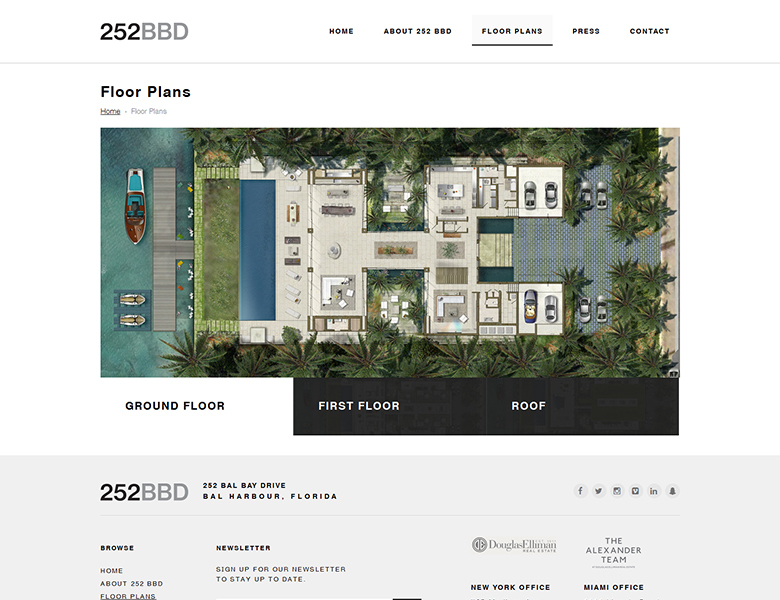 The master bedroom is over 2,000 sq. 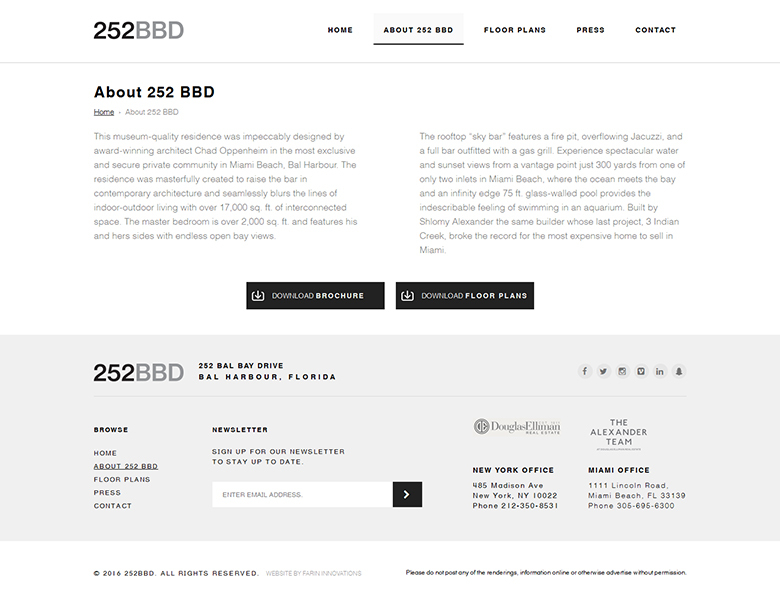 ft. and features his and hers sides with endless open bay views.